European lawmakers have established centralized oversight for Europe's largest banks. This marks creation of the first of 3 pillars of the bloc's planned banking union - a cornerstone of the policies to turn the tide on the area's 3-year-old debt crisis. 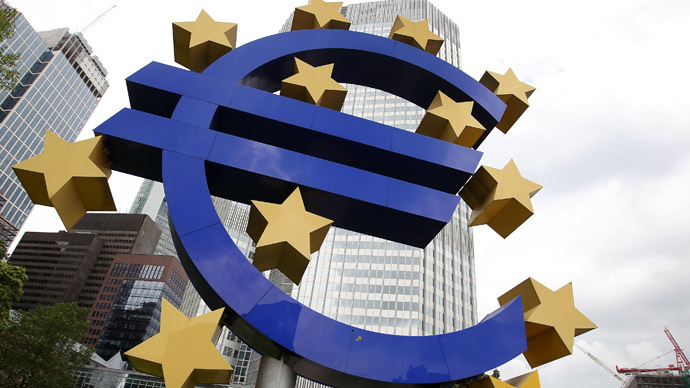 The centralized bank supervision authority, which will be anchored by the European Central bank, is due to be up and running from 2014, following a thorough stress-test of the banks' balance sheets. With the new watchdog in place, it’ll take up the job of rescuing struggling banks, rather than leaving weaker member states to fend for themselves. In the past failing banks dragged down government finances and forced European Union countries such as Ireland or Cyprus into seeking bailouts. The European banking supervisor authority will directly oversee some 130 banks representing about 80 percent of all bank assets in the 17-country eurozone. Members of the wider 28-country EU that do not use the euro currency, like Britain or Poland, can opt to join later. Anyway, the establishment of the banking union's remaining pillars - setting up a joint deposit guarantee and an authority to restructure or wind down banks complete with a common financial backstop - is still a long way from being agreed upon. Lawmakers appeared content with the solution, saying it guarantees necessary democratic oversight without jeopardizing financial stability. “It's a supervision of theECB, without in any way undermining the ECB's independence” or endangering a level of banking secrecy required “to protect the markets from unnecessary shocks,” European Parliament President Martin Schulz said Tuesday. Lawmakers overwhelmingly approved the ECB as the supervisor, with 559 voting for, 62 against and 18 abstaining.